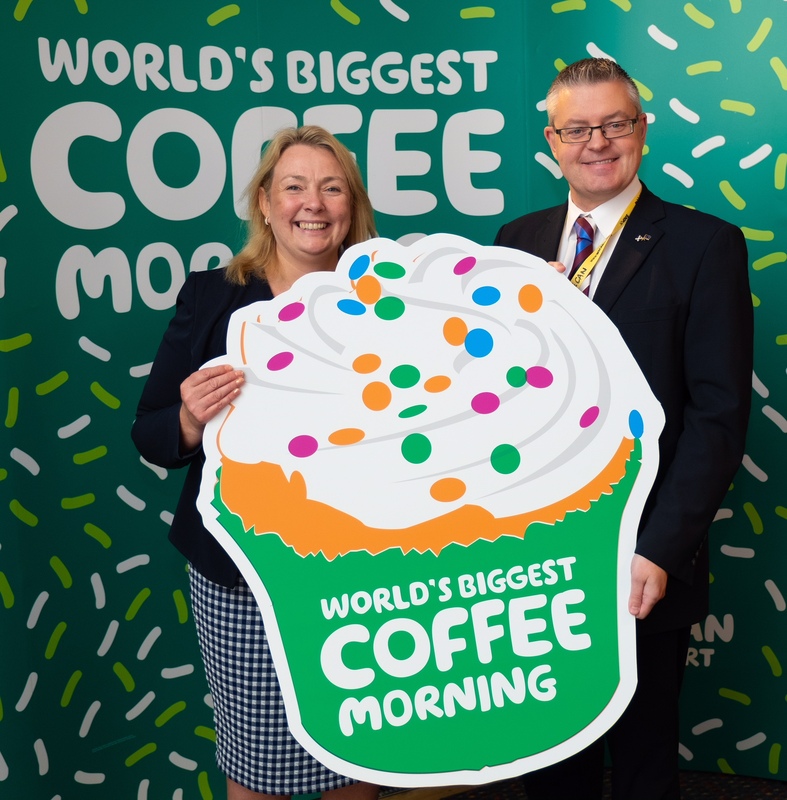 Stuart McMillan MSP for Greenock and Inverclyde joined MSP’s from across the Scottish Parliament to raise a cup to the World’s Biggest Coffee Morning. Putting politics aside, Mr McMillan joined with Janice Preston, Macmillan Head of Services in Scotland, for the charity’s flagship fundraising campaign which aims to raise millions to help people with cancer live life as fully as they can. “It’s difficult to imagine how life-changing receiving a cancer diagnosis can be, both for the person living with cancer but those close to them too. That’s why Macmillan’s role is so important and worthy of praise as they help so many people through cancer. Last year thousands of people across the UK took part in a Coffee Morning event, raising around £27m for Macmillan. This year the total raised by Coffee Morning since it began in 1991 will pass the £200m mark. The official day for World’s Biggest Coffee Morning is Friday 28th September but you can hold your own event at a time to suit you. It couldn’t be more simple to get involved – all you need to do is get together with family, friends or colleagues over coffee and cake. You can register now for your free fundraising pack via the website – www.macmillan.org.uk/coffee – or find a Coffee Morning near you to get involved in. Help people with cancer live life as fully as they can and find a Macmillan Coffee Morning in your community to attend this September.